Sleep recharges our batteries, quite literally. We go to bed tired in the evening and wake up feeling fresh and relaxed. When we don’t get enough sleep, or we sleep poorly, we start feeling the effects almost immediately. We wake up feeling tired. We don’t have energy. We’re irritable. Did you know there are other, subtler signs of poor quality sleep too? When you don’t sleep well over a longer period of time, you might start having some serious problems. According to experts, chronic sleep deprivation can cause obesity, type 2 diabetes, cardiovascular disease, and depression among other health issues. What factors Can Affect Sleep Quality? A variety of internal and external factors can affect the human circadian rhythm or sleep-wake cycle in layman’s terms. These include light, noise, temperature, jet lag, shift work, medical problems, and a variety of chemical substances as well as consumption of caffeine and alcohol. Light is one of the most important external factors that can influence sleep. It affects specialized cells in our retina, which tell the brain whether it is daytime or nighttime. We are now exposed to much more light at night than ever before, which has definitely affected our sleep patterns. Exposure to light in the late evening tends to postpone the sleeping phase and has led us to prefer later sleep times. Exposure to light at night can have a variety of unpredictable effects, but one certain one is that we find it difficult to go back to sleep. Certain issues can arise when our exposure to light changes due to travelling across time zones or work shifts. Normally, our internal clock has a powerful effect on our ability to sleep at various times over the course of 24 hours, as well as our stages of sleep. A wide range of medical and psychological conditions can influence quality of sleep. These conditions include chronic joint pain, neuropathic pain, tinnitus, gastroesophageal reflux disease, pre-menstrual syndrome, and more. Pain limits the depth of sleep and causes the quality of sleep to deteriorate. Psychological conditions include stress, anxiety, depression, PTSD, and Borderline Personality Disorder. People who suffer from these tend to find it more difficult to fall asleep, and when they do, they sleep lightly. This is probably because we are prone to respond to dangerous or stressful situations by waking up. The stress we experience during the day can stimulate this arousal response and make it harder to sleep. Medications such as antihistamines, beta blockers, alpha blockers, and antidepressants can disrupt sleep.Beta blockers, which are used to treat high blood pressure and prescribed for a host of cardiovascular diseases, as well as migraines, often cause decreases in the amount of slow-wave sleep, and are also linked to frequent daytime sleepiness. 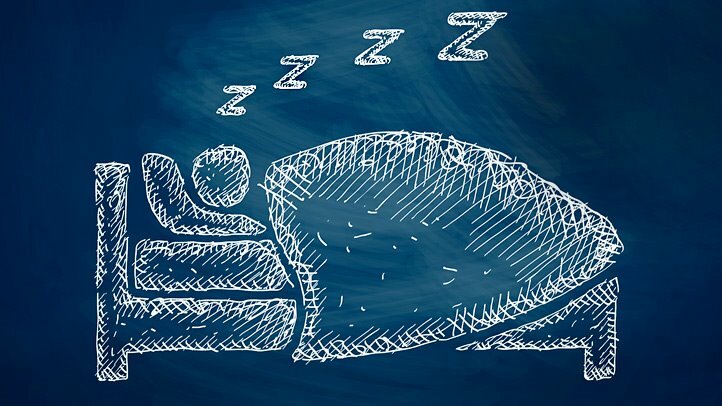 Alpha blockers, which are prescribed for prostate conditions among others, are linked to decreased REM sleep, the deepest and most restful sleep. Antidepressants can disrupt sleep because they decrease the duration of REM sleep. SSRIs have been found to cause insomnia. The pressure to sleep increases with every hour of wakefulness. In the day, our internal clocks generally counteract this sleep drive by generating an alerting signal that keeps us awake. The longer we are awake, the stronger this drive gets. The alerting signal decreases and the drive to sleep comes to the fore. One reason behind this mechanism is a chemical called adenosine, which builds up in the brain during wakefulness. As its levels rise, it begins to inhibit the brain cells that promote alertness, and we get sleepy. Irregular release of this chemical causes poor quality sleep and sleep disturbance. Alcohol can make you sleepy, but the quality of sleep under its influence is often poor. Alcohol has an arousing effect later at night, so that nightcap might be having the exact opposite effect of what you hope. Alcohol also tends to exacerbate the symptoms of sleep apnea, which will further compromise sleep in people with this breathing disorder. Caffeine is indispensable in the morning for some people, but its half-life is 6 hours, meaning that if you have coffee at 3 pm, your body will have processed 50% of it by 9 pm. It’ll be 3 am when it’s finally out of your system. Think about that! If possible, your bedroom should be completely silent. As for temperature,the ideal range for sleeping varies so much that there is no established best room temperature for optimal sleep. You should avoid extreme temperatures, of course. If it is very cold, it may be impossible to achieve deep, truly relaxing sleep. People tend to act impulsively and make poor decisions when they’re exhausted. You might find yourself binging on sweets or doing or saying things you don’t want to, or yelling at a spouse or coworker, because you are less inhibited. You don’t remember where you left the keys to the house again? This is probably due to poor sleep. Getting decent sleep is of paramount importance for brain health in the long term. A study on mice showed that sleep helps clear toxic molecules from the brain. Not getting enough or sleeping poorly on a regular basis could impair your brain’s ability to maintain a clear nervous system, experts suggest. When your brain is not getting the energy it needs from sleep, it looks elsewhere for it, and food is a natural choice. You’ve noticed cravings for greasy or sweet foods when you haven’t slept well. Poor sleep causes an increase of the hunger hormone ghrelin and leptin, the satiety hormone. When you’re not sleeping well, you tend to overeat because you’re not feeling the signals of satiety. This in turn causes weight gain. If you are tripping or tipping things over all day, poor sleep could be the reason. When you’re tired, you experience a lapse in your neurological functions. Your reactions are slower, and your concentration is also limited, causing you to have difficulty with movement. You might feel like your emotions are out of control when you’re sleep deprived. You overreact to certain emotional stimuli, like a sad movie or a major work deadline. If you’ve been finding it more difficult than usual to manage projects at work or at home, poor sleep could be to blame. Sleep deprivation can affect high-level cognitive processing and speed, making essential functions like time management or problem-solving become even more difficult to perform. If you’re exhausted, you can’t control youreye muscles as well. Poor sleep can cause damage to the ciliary muscle, which helps your eyes focus. You find it harder to read up close, for example. You could also experience deterioration of the extra ocular muscle with prolonged sleep deprivation, which moves the eye from side to side and up and down. Lack of good-quality sleep upsets your hormonal balance and increases circulating estrogen levels. You are breaking out more, and your skin may start looking older. Over a longer period of time, you will start to notice excess wrinkling due to a decrease in collagen, which the body produces while you sleep. Another thing that can suffer with poor sleep is your immune system. There can be serious issues if you’re not sleeping properly in terms of your body’s ability to fight off infections. More specifically, it is going to be harder for you to shake off colds. One reason could be that your immune system produces cytokines while you sleep – proteins that help ward off infections and inflammation. Chronically poor sleep could lower your body’s defenses against viruses and end up causing immune system diseases. Nodding off is an obvious sign of sleep deprivation – it could happen for a few seconds without you even realizing. Also known as micro-sleep, it’s your body’s way of forcing you to get the sleep you need. Basically, your brain is shutting down. This can be a big problem if you are operating dangerous machinery or driving. Do you find yourself experiencing any of these?Have you ever been in these situations? If the answer is yes in at least three of these cases, it means you are sleeping poorly. Download our free sleep tipsheet and find out tips on how to get a better night’s sleep. If your sleeping issues persist, please contact and make an appointment with me, Ashley Gilmour. I have extensive experience treating sleeping disorders and common causes of them such as anxiety, chronic stress and depression. If you don’t know why you’re sleeping poorly, your sleep won’t improve! Still having trouble with sleep? or have a question or query? Contact Ashley your Gold Coast Psychologist via email [email protected] or on 07 55743888. We are more than happy to help you! This entry was posted in anxiety, Blog Article, Depression, Sleep, Stress. Bookmark the permalink.